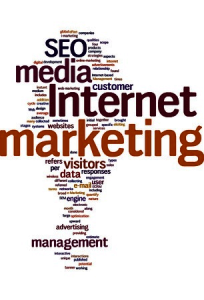 Looking for someone to help you with your Internet Marketing in Sydney? Well help is at hand, we have designed an online tool that effectively ‘pops the lid’ on Internet Marketing and allows you to have good old look into how well put together a website is for Internet Marketing purposes – we call it the Website Checker. I know what you are thinking – its just another darn website checker – well there is a lot more to this checker; it’s being specifically designed from the ground up to ‘help’ none technical people get their websites firing on all cylinders. It also covers areas not checked or assessed by other website checkers – such as branding support and readability – as well as covering the usual SEO, performance, security and mobile areas as well. So how does this help my Internet Marketing to Sydney? First off, the site you are now on has been optimised using the Website Checker, so the fact you are here proves it works. Secondly, Internet Marketing is as much about the destination as it is the journey; in other words if your website is not put together well (i.e. its SEO is not up to scratch or it is slow) then all that effort doing the social marketing, link building, etc will be ‘blunted’ as you won’t be getting the full benefit for the effort undertaken – a bit like driving down a road with the handbrake on, you can do it certainly but it goes much quicker without it. Thirdly, you can use the Website Checker to assess an agency BEFORE you engage then; just point the Website Checker at their portfolio and you will have a set of in depth reports scoring them on their ability to produce web sites – no stone is left unturned. This could save you thousands and dramatically reduce your risks. We have found over time that the care and attention taken to the clients website ‘under the hood’ is actually a rather good indicator of overall ability. With the website checker, you can easily share the reports it generates with your agency, so they can see exactly what is up with your website and fix it. You can even run another report and confirm (by highlighting just the differences) exactly what it is they did (or didn’t!). You can even set the Website Checker up to check your website periodically and alert you when anything goes amiss.